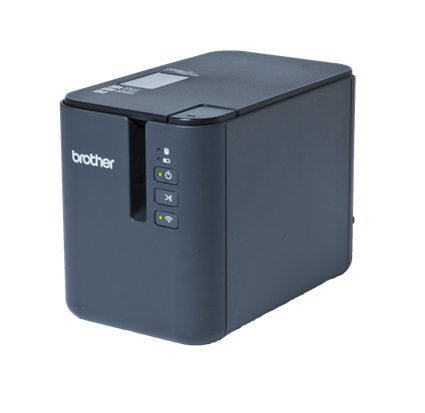 Create customised durable labels in many colour combinations and widths with this feature-rich high-speed label printer. Design labels on your PC Mac tablet or smartphone then print using wired or wireless network connectivity or USB. Include barcodes logos and other images frames and text and link to existing data in your spreadsheet to easily print many labels at once. Advanced cutter with easy peel feature ensures efficient labelling. Optional rechargeable battery base touch panel display unit and Bluetooth interface offers a total mobile labelling solution.